If you love pizza (who doesn't? ), you probably have your favorite pizzerias you head to when the craving hits. I finally had the pleasure of dining at Great Lake in Chicago last night and let's just say that while I'm sorry it took me so long to get there (especially as it's only about a mile from my home), I'll be back very soon. There are several reasons for returning, but the basic one anyone would care about is this - how is the pizza? Briefly, it's as good as I've ever had in the United States. Now it's not classic pizza from Napoli, where you get Pizza Margherita or Marinara or a variation on one of these classic pies. Nor it is Roma pizza with its snappy crust. Nor is it New York style or Chicago style or any other city's style. 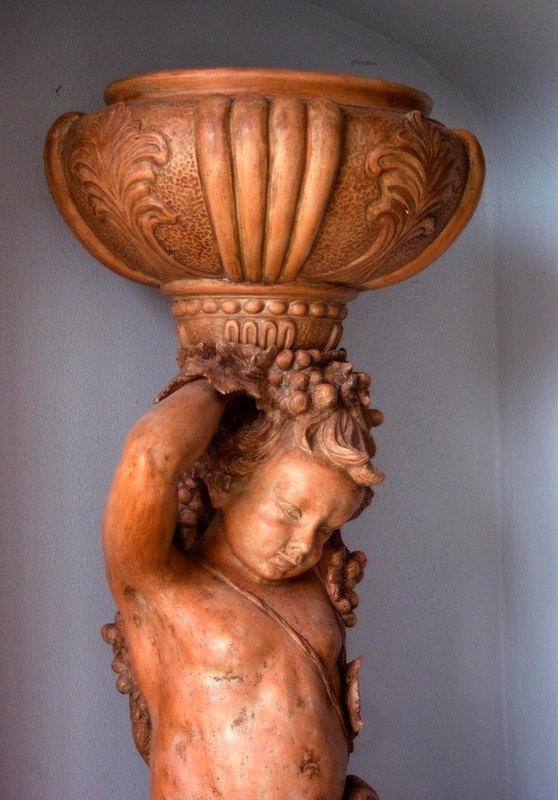 It is totally, beautifully, deliciously, it's own style as created by owner Nick Lessins. "This pie - creative, original and somewhat local - represents everything irresistible about the new American style of pizza-making." Now that certainly got my attention, but let me tell you flat out that I like to make up my own mind, whether it's on a movie I saw or the pizza I'm about to eat. I also tend to avoid places - at least for awhile - that are the overnight successes on the block. You can imagine how crowded this place was for quite some time after that article appeared. Add to that the fact that the place only seats 12 people! Yes, that's right, 12 people, as there is a communal table for 8 and then two two-tops. I travel quite a bit which added to my delay in getting there, but about a month ago, a friend told me that it was finally getting manageable and you could get a table without too much of a wait if you arrived early (the restaurant opens at 5:00 PM and is only open from Wednesday to Sunday). So two of my friends accompanied me this past Wednesday for our initial meal. We had heard rave reviews from many friends, so we were quite excited. We arrived a few minutes after 5:30 and already the place was full. We gave our name and cel number to co-owner Lydia Esparza, who told us it would be about a 30 minute wait and that she would call us when our seats were ready. As the place is tiny, you can't wait there, but there are several upscale wine bars and restaurants in a two block radius, so we went for a beer and sure enough, we got the call almost exactly 30 minutes later. As my friend Sue remarked, "this was a very civilized way of handling this situation." We ordered the first two and were fortunate enough to also try a piece of the bacon pizza that our neighbors couldn't finish (thank you!). Each of the pizzas is quite rich - especially the bacon- and has wonderful texture and flavors. The crust on each one is quite salty and maybe that's certainly one of chef Lessins' signatures. But it's the amazing combination of vegetables, meat and cheeses that are the real key here and each pizza is perfectly cooked and is mouthwateringly delicious! Lessins works with local farmers in Illinois, Michigan and a few other states and proudly lists their names on the menu board on the wall. The pizzas cost about $22 each, a fair value for such a full, satisfying meal (most people we saw took a piece or two home as they couldn't finish a whole pizza - we were no exception). What's really neat is that Lessins has repeatedly stated that he is not going to expand the place. Yes, it could mean more money, but that would take away from what he is doing. Lessins, you see, makes every pizza and gives them a lot of TLC. There's no rushing here, but with an experience like this, who wants to rush? Incidentally, while the pizzas take a little longer to come to your table than at most pizzerias, it doesn't take an inordinate amount of time, as Richman suggested in his article. You bring your own wine and as I was finally heading there for the first time, I went to the cellar and pulled out something special - the 1999 Feudi di San Gregorio "Serpico." This 100% Aglianico from Campania was in great shape and had the body and spice to easily carry all the flavors in these pizzas. If you don't bring wine, you can always order a San Pellegrino Aranciata - and how nice that they offer this wonderful orange soda! So a big thank you to owners Nick Lessins and Lydia Esparza for all their hard work - it comes across lovingly in their pizzas. I'll be back soon and maybe that mortadella pizza will be available. But no matter, I'm pretty certain I'm going to like every different pizza they create! P.S. A nice family of four - mom and dad and their two young sons - seated at the communal table was also here for the first time. 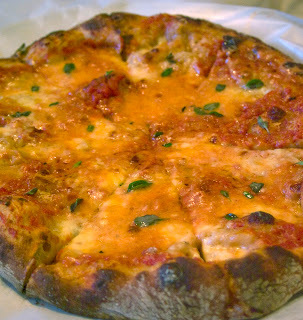 The mentioned they loved pizza and had eaten at Pizzeria Bianco in Phoenix, which was also cited in Richman's article. They said they loved the pizzas they consumed there, so when I finally make it to that beautiful city out west, I'll make certain I check out their food. If you have a favorite, let me know! When you are the largest house in Champagne, you don't make a change for change's sake. Rather, decisions that will take your company in a new direction take place with the experience of the past and the foresight to do what is best for the long road ahead. One such decision that has recently taken place at Moet e Chandon in Epernay has to do with one of the firm's loveliest wines, the vintage Champagne. Keep in mind that a vintage bottling is not the typical release from Moet or any Champagne producer, but rather is something that is produced only in the finest years - years that are proclaimed vintage years by each house. Moet has just released its 2002 vintage Champagne and to show you how precious a vintage bottling is, this is only the 69th release of one of these wines from the firm, a very small percentage for a company that has been producing Champagne since 1842. I mentioned changes at the start and the 2002 besides being a typically fine and elegant Moet bottling, is a wine that represents some important new avenues for the company. First and foremost is the name "Grand Vintage", which will be the new designation for the vintage offering. Perhaps it's just a marketing decision, but I think this new marque lends an added touch of class. Then there's the aging process for the wine. The minimum for a Vintage Champagne by law is three years, but for Moet, five years has been the norm. But starting with this 2002, the chef-du-cave is looking at seven years of aging before the release to the market. In fact, as he believed this wine needed more time than usual given its delicate nature, he made the decision to release the 2003 vintage bottling first. As the 2003 was from a very hot vintage in which the grapes achieved higher than usual ripeness, Gouez felt the forward nature of that wine would show better sooner than the more subdued manner of the 2002. Also, with this 2002 bottling, Gouez has decided to lessen the dosage to make the wine a bit drier. The addition of the dosage - often sugar blended with a base wine - is done for several reasons, but primarily to balance the overall acidity of the wine. This small addition of sugar also serves to round out the finish, as many Champagnes are too austere if they are not given a final dosage. But Gouez has lessened the dosage amount for the 2002 Grand Vintage, believing that the extra two years of aging in the cellars have resulted in a more complex wine with a lengthy finish and ideal structure. Based on my initial tasting of this wine at a special dinner last week in Chicago, I would say he has made a wise choice. The wine is medium-full with beautifully complex aromas of lemon biscuit and a round, elegant finish - this is a Champagne with great finesse and style! 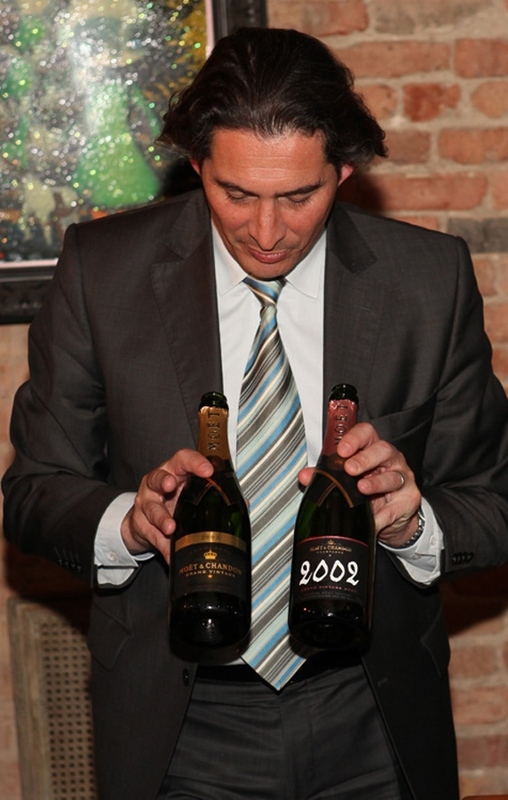 Benoit Gouez with two bottles of the 2002 Grand Vintage. The bottle with the chalk numbers on the label will replace the standard package. Interestingly, few houses in Champagne made the decision to call 2002 a vintage year. 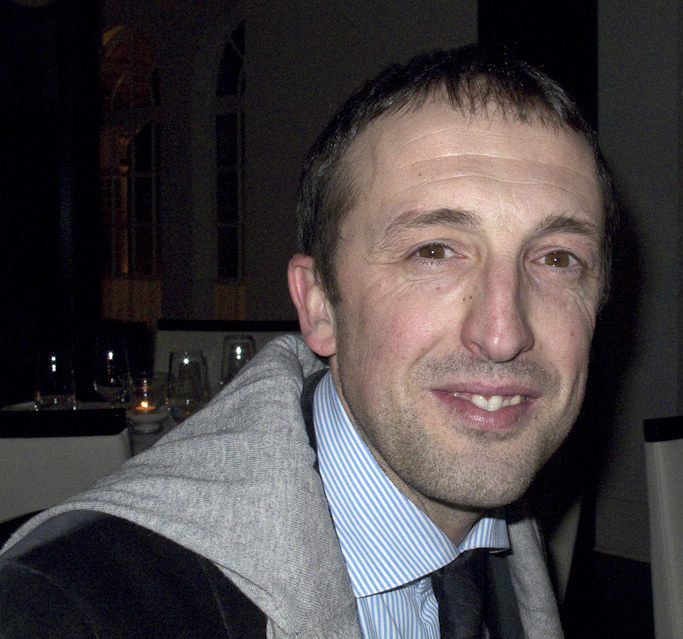 Gouez, however thought that 2002 was an excellent year, perhaps the best since 1995, in his opinion. As the 2003 has already been released, the 2004 will be the next Grand Vintage, followed, surprisingly not by 2005, (which most houses did declare as a vintage year), but instead by the 2006, 2008 and 2009. 2005 and 2007 were not declared as vintage years by Moet, as Gouez believed that the grapes in those years "were not very ripe." Since the vintage wines will be from growing seasons that yielded more mature grapes, Gouez is confident that an extra two years of cellaring will result in better balanced wines. "Champagne is all about consistency," he notes, and while each vintage will still have its own characteristics, the additional aging for the new vintage offerings will guarantee a more recognizable style for Moet. Along with the Grand Vintage 2002, we also tasted the new Grand Vintage Rosé 2002; this wine has ripe strawberry flavors and a rich palate with a long finish. The wine is quite attractive now, but it will evolve into a more complex offering with another 2-3 years in the bottle, while the Grand Vintage 2002 is a bit more approachable now. Gouez blends both white and red wines for his rosé, as he believes this is the best way to create a more subtle and balanced wine. The wines were served with the ingenous cuisine of Stephanie Izard at her new restaurant in Chicago called Girl and the Goat. Izard became sort of a national overnight sensation when she was the winner on the tv show "Top Chef" a few years ago. 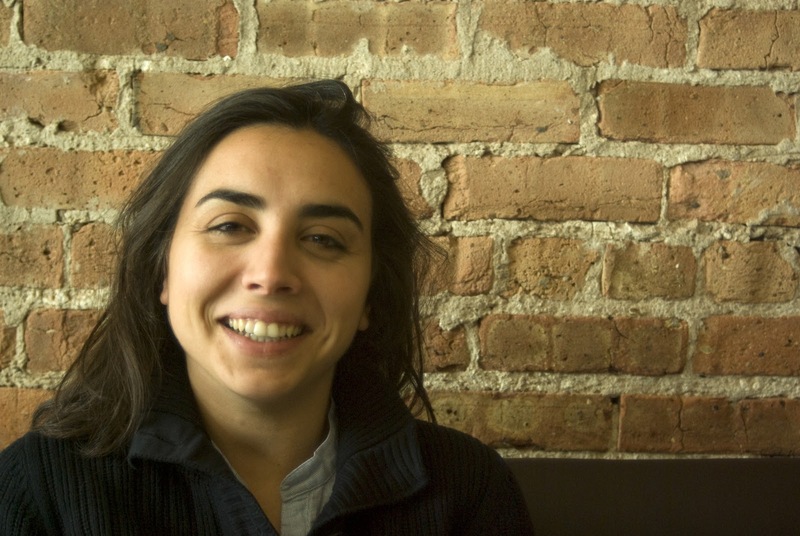 Chicagoans had been waiting for her new restaurant and they are turning out in record numbers. I arrived at 6:00 PM on this particular Thursday evening and the room was packed- it seemed more like it was 8:00 or 8:30 at night. Our small group dined in a private room and we were delighted with the menu. Izard finds so many wonderful and unique combinations; a dish of fennel, squash, kohlrabi and toasted almonds was a perfect accompaniment to the Grand Vintage, while a fried loup de mer was a marvelous companion to the rosé. This event was a wonderful look at the world of Moet, not only from the standpoint of the quality of their wines, but also as a view into their future. As successful as they've been since 1842, I get the feeling their products will only improve in the upcoming years. P.S. By the way, if you have a collection of the older bottlings of Moet vintage Champagne, keep an eye out for the 1921. 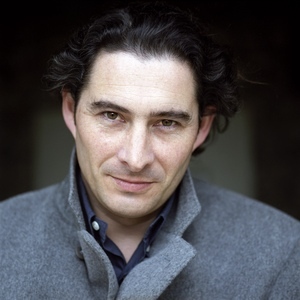 Benoit Gouez remarked that it was "the best year for white wines in Europe in the 20th century." I'm guessing that vintage bottling may still have some life to it, so if you do find a bottle, will you let me know? Italian Wines - Traditional, Natural and Delicious! The Italians use the word anima to describe a wine that has soul, a wine with not only excellent varietal purity and balance, but one that reflects its local terroir, one that has a sense of place. These are wines that are honest, like the farmers that tend the vineyards and the enologists that craft these wines in their cellars. Today I was able to taste wines from several Italian producers who make their wines this way; the occasion was a tasting of bottlings from the Louis Dressner portfolio. While I also sampled a few French wines at this event (including an outstanding 2002 Cuvée Prestige from Franck Pascal), my emphasis was on the splendid group of Italian wines at this tasting. I started right at the top with the wines from Elisabetta Foradori from Trentino. I had tasted her wines many times before, but this was the first time I had the opportunity to meet her. What a treat to taste these wines while listening to her thoughts on the various bottlings. She poured a 2009 release of a white called Myrto, produced from the Manzoni variety, a cross between Riesling Renano and Pinot Bianco. This is a beautiful dry white with petrol and pear aromas with lovely texture and excellent complexity. She also showed four reds, all made from Teroldego, the variety she is best known for. I loved the 2009 "Scarzon" bottling, with its deep color, heavenly perfumes of black raspberry, anise and violets and outstanding persistence. 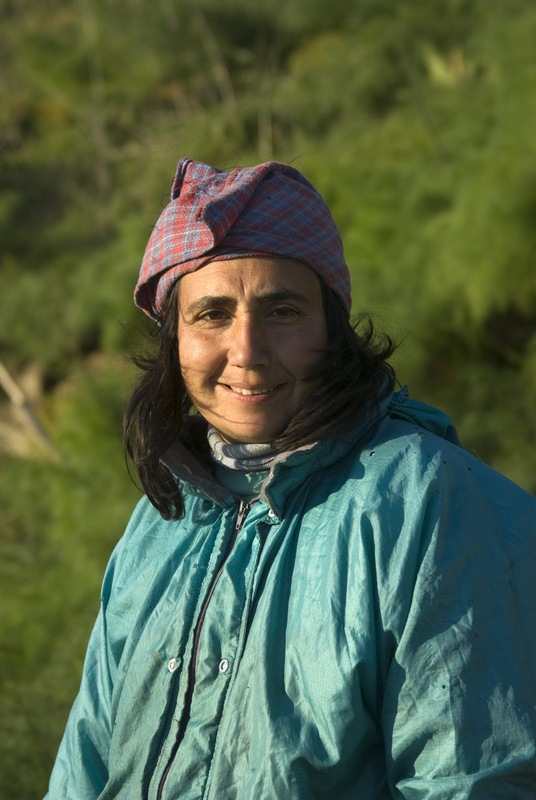 This is great evidence of the biodynamic farming she undertakes at her estate; she told me that this practice allows her to "go back to the fertility of the soil." All of her red wines display wonderful varietal purity and finesse, two qualities I have been finding in the very best wines made biodynamically. Two of the most pleasant surprises at this tasting were red wines from Cascina degli Ulivi, a small estate in the Alessandria province that is well known for their Gavi. The first red was a charming red called "Semplicimente", a blend of 70% Barbera and 30% Dolcetto. This has the wonderful black raspberry and cranberry fruit of Dolcetto along with the zippy, tangy acidity of Barbera; aged solely in steel tanks, this is a fun wine meant for consumption with pizza and salumi over the next 12 months. 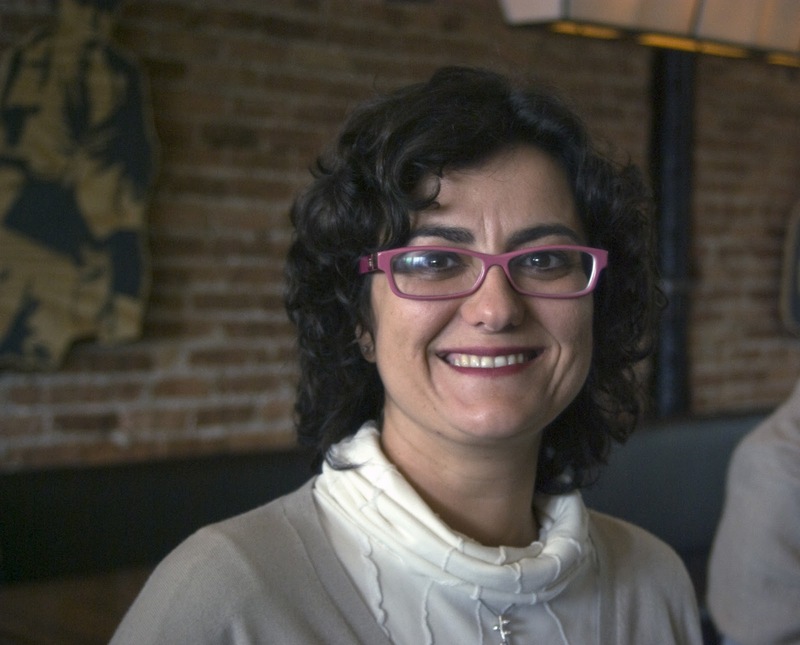 I mentioned to Sonia Torretta from the estate that it was neat to try an old-fashioned Piemontese red; she smiled and replied that many people in her town had told her that this wine "was just like my uncle used to make." Given all the powerful wines that emerge from Piemonte, how nice to find an approachable wine such as this (especially at around $18 retail). 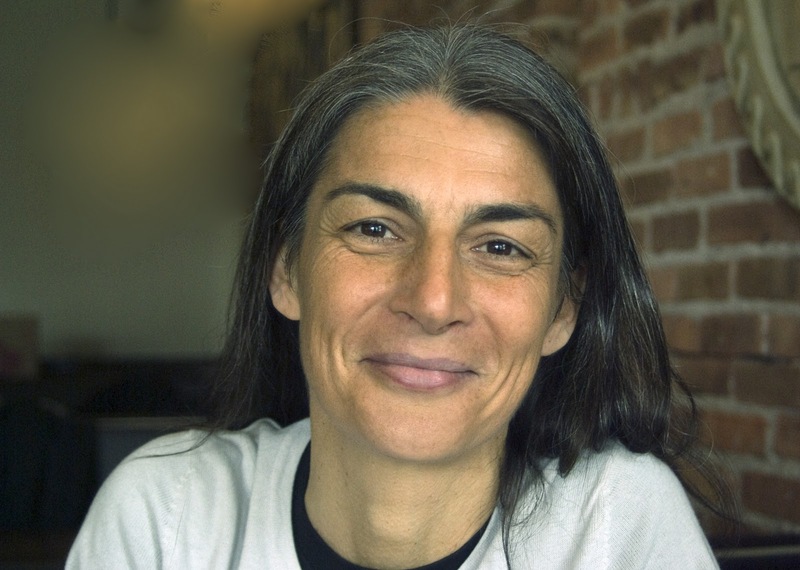 Torretta also poured her 2006 "Nibio" a wine made entirely from a local strain of Dolcetto. This particular clone (the wine is a Monferrato Dolcetto) has small berries, so there is a touch more tannin than the usual Dolcetto d'Alba, given the skin to juice ratio. This is a delicious wine and one that will be at is best in about five years - at $24-27 dollars, this is a fine value, especially as it challenges other Italian reds in regards of quality and complexity at that price. I wasn't familiar with the wines of Monte dall'Orca from Valpolicella, but can highly recommend them, especially the 2007 Ripasso "Sausto" and the 2006 Amarone. Both wines are remarkably elegant without the big raisiny flavors one normally encounters in wines of these type. The wines are aged in grandi botti, so the wood influence is minimal. To me this allowed the varietal flavors of the Corvina and Rondinella grapes to emerge, along with subtle spice. This Amarone is one of the best I've tasted over the past few years. Finally, two producers making wines at different ends of the spectrum. Sasha Radikon was present pouring his father's gorgeous "orange" wines; among them were the 2005 Ribolla Gialla, the Jakot (Tokaj spelled backwards) froma the same vintage and the "Oslavje" (also from 2005). This last white, a blend of Pinot Grigio, Sauvignon and Chardonnay has excellent persistence and texture with outstanding complexity. A first rate wine as was the Ribolla Gialla, which displayed remarkable freshness for a five year old white wine. Radikon gives these white wines three and a half months of skin contact and them ages them for three and a half years in grandi botti of 30 hl. This is an amazing way to make white wines - one that surely is razor's edge - but is works grandly! Finally I was able to sample the new wines from my brand new friend Arianna Occhippinti. I had known about her wines for some time now, as several friends recommended them to me (Arianna is the niece of Giusto Occhipinti, one of the proprietors of COS winery in Vittoria, one of Italy's most remowned producers). I finally met Arianna on March 12 at an event in Sicily, where I tasted her estate wines (I especially loved her 2006 "Siccogno" Nero d'Avola). I then flew back to Chicago on the 15th on the same flight as Arianna- she was actually seated one row directly in front of me - talk about a small world! (Incidentally, both of us, having flown Alitalia in the past, had the foresight to order a vegetarian meal - they couldn't screw that up!). So today, the 23rd, marked the third time in twelve days I've spent time with her after never meeting her in the past. She is certainly worth spending time with, I can admit, not only for her wines, but also for her charming personality. I tasted three wines from her new project she has undertaken with a few friends. The wines are under the Tami label and the three wines, a Grillo and two reds, Frappato and Nero d'Avola, are medium-bodied and offer good freshness, varietal character and are quite elegant and approachable now. These are fine food wines and very reasonably priced - they should be in the $16-$18 retail range, though I'm guessing much of the wine will wind up as glass pours - a wonderful idea for any restaurant wine buyers reading this post. In case you couldn't tell, I had fun at this tasting. To me, that's always in the back of my mind at wine events. No matter how expensive or famous the wine, I'll only rate it highly if I enjoy it. Today, I enjoyed a beautiful range of wines - life's good! When people ask me to name my favorite regions in Italy, Alto Adige is always in my top three. I would give that answer my no matter whether people were referring to the beauty of the region, the friendliness of the people or the quality of the wines. To me, Alto Adige truly is a magical territory on many levels. So I was excited about attending a special Alto Adige tasting in Chicago a few weeks ago; this depsite the fact that I was leaving for Italy the next day. I don't normally do much the day before I fly, but I rarely pass up an opportunity to taste wines from this splendid region in northern Italy. Several dozen producers came to Chicago as part of a three city tour in the US (Boston and New York City followed) and what was evident after sampling only a few bottlings was the collective quality of these wines (certainly no surprise to me, given my previous experiences, but always nice to see consistent excellence on display). Alto Adige is best known for its deeply fruity whites, generally aged only in steel tanks, so as to preserve the lovely aromatics. The most famous white is Gewuztraminer - known sometimes simply as Traminer - with its remarkable perfumes of lychee and rose petals. These are rich, dry offerings with distinct spice that are ideal when paired with Oriental cuisine. 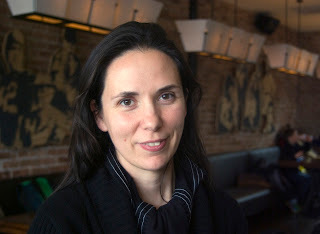 There were bottlings that ranged from $15 to $40 a bottle; the two most impressive were the 2009 Cantina Tramin "Nussbaumer" and the 2009 Elena Walch "Kastelaz", both of which are among the finest examples of this variety, not only in Italy, but in the world. Pinot Bianco is the most widely planted white variety in Alto Adige and it truly represents the heart and soul of the area's vintners. There were several excellent examples on display at this event. My favorites included the 2007 Cantina Terlano Vorberg Riserva, the 2009 Castel Sallegg and most notably, the 2009 Elena Walch "Kastelaz" and the 2009 Alois Lageder "Haberle". This last bottling in particular has been a favorite of mine for several years; it shows the potential of this variety in terms of texture and complexity. This would be a marvelous match with any number of foods from vegetable risotto to poached trout. No, I haven't forgotten Pinot Grigio, the grape that everybody seems to pick on, yet one that is enjoyed by millions. 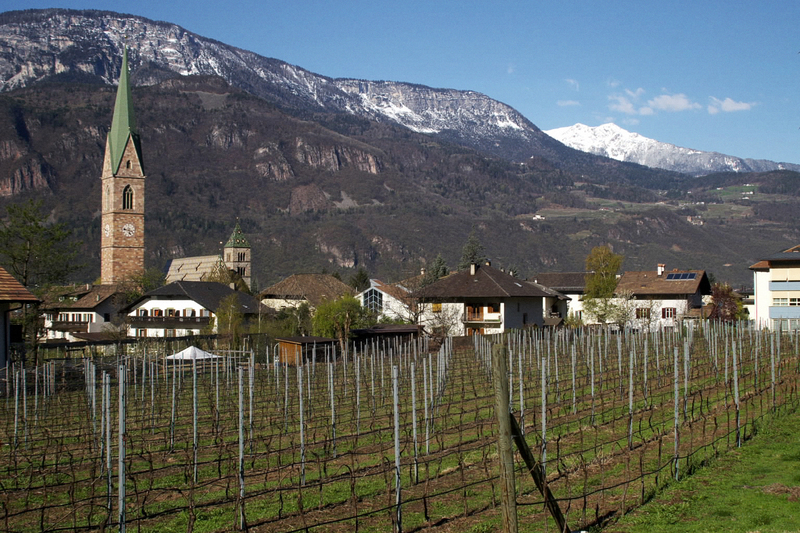 What makes the versions from Alto Adige so special is a combination of the proper growing conditions (cool climate along with hillside plantings that naturally limit the yield) as well as the tender love and care given to the wines by the vintners. That was evident in the 2009 Nils Magreid "Punggl" and the 2009 Lageder "Porer". The former is from vineyards that are 80-100 years old; needless to say, the wine has intensity as well as beautiful texture and the exotic tropical fruit notes as quite distinct (the wine is a steal at $20). The latter is a Pinot Grigio that ages and offers excellent complexity; this is one of the wones made by Lageder using the strict Demeter biodynamic practices. How nice to see Lageder put this much effort into this variety; this too is wonderfully priced at $23. While the white wines are the most famous in the region, there are some very impressive Alto Adige reds as well. The first I'll mention was a wonderful surprise, the 2009 Elena Walch Schiava. I've tasted many versions of this variety in the past; it's a very light red with extremely delicate tannins; while pleasant, too many examples are often a bit green and have a strong herbaceous streak that takes away from the simple charms of the wine. But not this one; this was pure, fresh, tantalizing strawberry fruit and a refreshing finish with tart acidity. This is a variety few people outside the region are familiar with, but when consumers take the time to stop and smell the roses (or strawberries in this instance) and enjoy the simple pleasures of a red wine meant for immediate consumption, they will be delighted in a well made and pleasing bottling such as this. A few word here about Elena Walch and her husband Werner. They own some beautifully situated vineyards just outside the town of Tramin and produce a wide range of stellar wines. 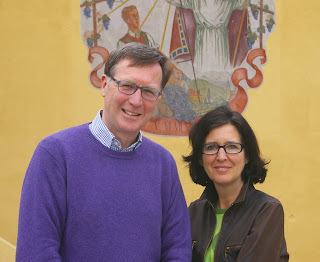 They are extremely personable and gracious people and it's truly nice to see such wonderful people who work hard and do things the right way in their quest to become one the Alto Adige's leading wine estates. I'd recommend just about anything from this label, from the basic Pinot Grigio to the riserva bottlings of Lagrein and Merlot. Two featured red varieties at this tasting were Pinot Nero and Lagrein. A few words on the former; the top examples from Alto Adige are medium-full with round tannins, tart acidity, pleasant herbal notes and attractive cherry fruit. They resemble lighter Burgundies, with most bottlings styled for optimal consumption within the first 3-5 years, though a few of the best can age for a decade. The most successful versions I sampled at this tasting were the lightly spicy 2009 Nils Magreid and the slightly richer and more fragrant 2008 Franz Haas, which offered beautiful cherry fruit and a sublime note of cardamom. As I mentioned earlier, I had to fly to Italy the following day, so I missed a number of top wines at this event. But I made sure to sample at least a few bottlings of Lagrein, a beautiful indigenous red from the region. This varies quite a bit from Pinot Nero, in that Lagrein is much deeper in color with a bright purple robe (as compared to the garnet appearance of Pinot Nero) and has more distinct tannins. Lagrein is generally a forward red and while it can be quite big, the tannins are not like Cabernet Sauvignon or Nebbiolo, so the wine can be enjoyed much sooner upon release. Most have the stuffing and proper structure to drink well for 5-7 years, though some drink well for a decade or longer. Two wines that impressed me this day were the 2007 Castel Sallegg Riserva and the 2004 Lageder "Lindenburg"; both offered notable richness and excellent complexity. I'd pair these wines with a red meat such as a New York strip steak, though I think they would be even better with duck breast, pheasant or venison. A taste of the tantalizingly delicious 2009 Franz Haas Moscato Rosa, a gorgeous red dessert wine, and my tasting was complete. 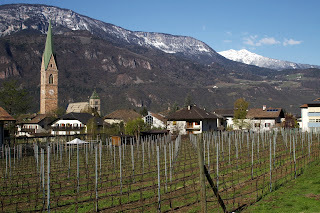 A lovely day to be sure and one that started me thinking about my next trip to Alto Adige to enjoy the company of some lovely people and their marvelous wines! Today, Thursday, March 17 marks the 150th anniversary of the unification of Italy as a country. Given that I specialize in Italian wines in my writing and photography, I wanted to remind everyone of this and ask them to enjoy Italian wine and food today, tomorrow, the rest of the year and for as long as possible. But one thing that has not changed is the hard work put in by the Italian people. I view Italy largely through its wine industry, so I see the intensive work in the vineyards, from the pruning in the winter to the harvest in the fall. Today, there are all sorts of publications around the world that feature prose about the luxury and good life of enjoying the finest wines. I wonder how many of these writers have ever seen a harvest on a hillside under the brutal sun of Southern Italy. So in my own little way, I'd like to celebrate this wonderful anniversary by praising all the people that make Italian wine possible, especially the workers in the vineyards. I have the luxury of traveling to Italy and drinking many great - as well as humble - wines (You'd be surprised how often I enjoy the latter more than the former); I often have the opportunity to taste these wines in some celebrated restaurants - as well as some lovely trattorie and osterie that offer more simple fare (again, the latter are often more enjoyable for me than the former). But if it weren't for these hearty souls who are in touch with their land and in love with nature, my job wouldn't be possible. Or at least, anywhere as enjoyable. So let's all raise a glass to the vineyard workers in Italy that toil to bring us the most beautiful expressions of their territory. Population and technology change, but the love of farming the land never does. Here's to the next 150 years of these lovely Italian people giving the world their labors of love! * Statistics are from a recent article in Corriere della Sera, one of Italy's greatest publications. The Italian translation of this post can be found at my other blog, Learn Italian Wines. Recently I attended a wine dinner at Pelago Ristorante in my hometown of Chicago, which was organized by the importer of Ghiomo, a small estate in the Roero district of PIemonte. Present at the dinner was Giuseppino Anfossi, owner of the estate, along with his winemaker, Sergio Molino. The Roero district is located across the Tanaro River from the Barbaresco and Barolo zones. Soils are younger and produce red wines with lighter tannins than those famous offerings, meaning that Nebbiolo from the Roero is more approachable upon release. That being the case, Barbera is often planted here as is the white variety Arneis, which has become the most recognized wine of the area. There were two examples of the Ghiomo Arneis poured this evening: the "Fussot" and the "Imprimis", both from the excellent 2009 vintage. Both display very nice varietal character with pine and pear aromas, with the latter offering a bit more richness on the palate. Both wines are quite elegant and nicely styled for food and are also very reasonably priced, the former at $18 and the latter at $23 (US retail). Next was my favorite wine, the 2006 Barbera d'Alba "Lavai", that offered excellent varetal purity and lovely balance. This wine was aged in large barrels, so the wood notes were quite subtle, which was a nice touch for my tastes. 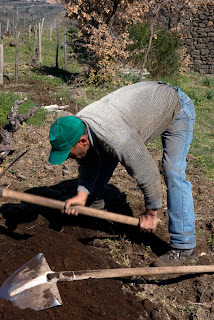 Too many examples of Barbera these days are excuses for the winemaker to ratchet up the oak, as if the producer is trying to make a "serious" wine out of Barbera, in other words, make a more heavy duty wine instead of crafting an elegant, tasty wine. This bottling also has lovely freshness and will offer pleasure for another 3-5 years; at $17, this is a real find. 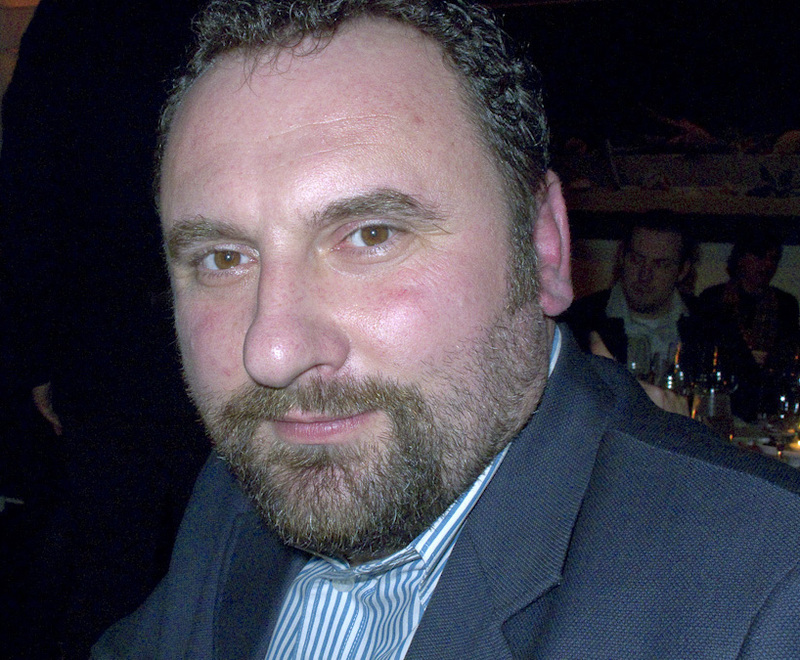 Complimenti to enologist Sergio Molino for his minimal approach to the winemaking here at Ghiomo. Two bottlings of Nebbiolo followed: the 2006 Nebbiolo d'Alba "Vigna Granda" and the 2006 Nebbiolo d'Alba "Sansteu". Both wines are understated and quite approachable now with the latter offering a bit more punch in the finish. Look for both of these wines to drink well for the next 5-7 years. Again the purpose of these wines are to pair with food - these are not Barolo or Barbaresco meant for a decade of cellaring. Pair these with veal or pork or even braised rabbit. The final wine of this evening was the beautifully crafted 2007 Barbera d'Alba "Ruit-Hora", sourced from the vines that receive the most sun. There is 5% Nebbiolo and this wine is a more modern style offering, aged in barriques. This is ripe and full, yet the oak is very subtle and again, the Barbera varietal flavors shine. This was a lovely way to finish the dinner especially with the creative pairing of a morel cherry in pastry as offered by Chef Mauro Mafrici. I decided to write about this producer, as I not only loved the wines as well as the pricing, but also the honesty of this estate. Ghiomo is one of hundreds of producers in Italy that make wine without a lot of headlines - it's doubtful you'll find their name listed in books that profile the best estates of Piemonte, but then again, a lot of those lists revolve around famous names that make excellent wines to be sure, but also ones that have a lot of marketing power. 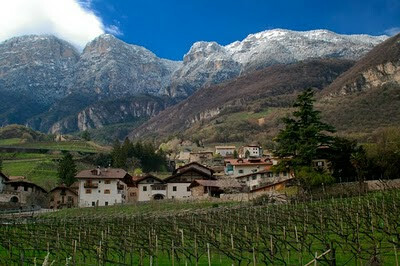 Ghiomo on the other hand, is all about making wine that captures varietal character and reflects a sense of place. Anfossi and Molino are interested first and foremost in making the best wine they can from their local vineyards. That's the beauty of Italian wine and it's one more reason to keep on with the journey - you never know when you're going to discover the next producer such as Ghiomo! My thanks to importer Paolo Cerruti for his help and support regarding this dinner.